Dove Electronic Components, Inc. has garnered the industries top accreditation's. Dove is proudly registered as an AS9100 and ISO9001 quality standard corporation and a longstanding member of the ECIA Authorization program. 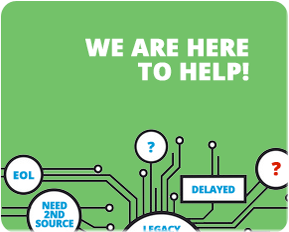 Dove Electronic Components, Inc.'s quality management system is based on providing our customers with superior customer service through our quality based commitment to servicing crystal and oscillator demand within the electronics industry. We strive for customer retention by satisfying all customer requirements with every shipment through continual improvement. 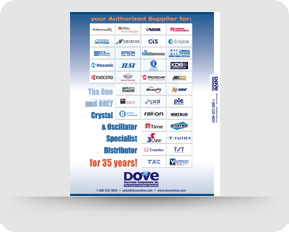 Dove Electronic Components, Inc. is a ECIA Authorized Source for electronic component distribution. Always buy from a trusted ECIA Member.